^ 1.0 1.1 Major Episodes of Political Violence 1946-2011. Systemicpeace. [2011-11-06]. （原始内容存档于2014-01-21） （英语）. ^ Business: The Company File From Anglo-Persian Oil to BP Amoco. From Anglo-Persian Oil to BP Amoco. [2011-11-06] （英语）. ^ COUP D’ETAT OF 1299/1921. Encyclopædia Iranica. [2011-11-07] （英语）. ^ Dr. Mohammad Mosaddeq - Symbol of Iranian Nationalism and Struggle Against Imperialism. Iran Chamber Society. [2011-11-13] （英语）. ^ 67.0 67.1 Mark J. Gasiorowski. The 1953 Coup D'etat in Iran. Louisiana State University. 1998-08-23 [2011-11-13] （英语）. ^ 68.0 68.1 68.2 Donald N. Wilber. CIA Historical Paper No. 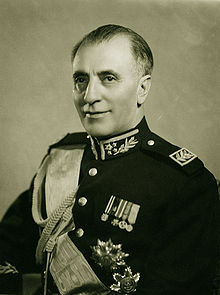 208 Clandestine Service History: Overthrow Of Premier Mossadeq Of Iran November 1952 – August 1953. web.payk.net. [2011-11-13]. （原始内容存档于2009-06-09） （英语）. ^ Profile: Norman Schwarzkopf Sr.. History Commons. [2011-11-13] （英语）. ^ All the Shah's Men: An American Coup and the Roots of Middle East Terror. Central Intelligence Agency. [2011-11-13] （英语）. ^ Scott A. Koch. CIA document mentions who ordered the 1953 coup (PDF). [2011-11-13] （英语）. ^ 76.0 76.1 76.2 Masoud Kazemzadeh. The Day Democracy Died:The 50th Anniversary of the CIA Coup in Iran. Khaneh. [2011-11-13] （英语）. ^ Jonathan Schanzer. Review of All the Shah's Men: An American Coup and the Roots of Middle East Terror: Middle East Quarterly<. Middle East Forum. [2011-11-14] （英语）. ^ 82.0 82.1 82.2 Tim Weiner. C.I.A. Destroyed Files on 1953 Iran Coup. New York Times. 1997-05-29 [2011-11-14] （英语）. ^ Tim Weiner. C.I.A., Breaking Promises, Puts Off Release of Cold War Files. New York Times. 1998-07-15 [2011-11-14] （英语）. ^ James Risen. Secrets Of History: The C.I.A. in Iran—A special report. How a Plot Convulsed Iran in '53 (and in '79). New York Times. 2000-04-16 [2011-11-14] （英语）. ^ 88.0 88.1 Ervand Abrahamian. The 1953 Coup in Iran. Website. [2011-11-15]. （原始内容存档于2009-10-21） （英语）. ^ 89.0 89.1 89.2 50 Years After the CIA’s First Overthrow of a Democratically Elected Foreign Government We Take a Look at the 1953 US Backed Coup in Iran. Democracy Now. 2005-08-25 [2011-11-15] （英语）. ^ Joan E. Dowlin. America's Role in Iran's Unrest. Huffington Post. 2009-06-17 [2011-11-18] （英语）. ^ Ervand Abrahamian. The 1953 Coup in Iran. Science & Society. 2001 [2011-11-19]. （原始内容存档于2009-10-21） （英语）. ^ U.S. Comes Clean About The Coup In Iran. CNN. 2000-04-19 [2011-11-19] （英语）. ^ U.S. Offers Olive Branch to Iran. fas.org. [2011-11-19] （英语）. ^ The Lessons of History: "All The Shah's Men". A BuzzFlash Reader Review. 2003-08-25 [2011-11-19]. （原始内容存档于2011-12-29） （英语）. ^ Brief History. National Iranian Oil Company. [2011-11-21]. （原始内容存档于2011-11-07） （英语）. ^ 124.0 124.1 Ralph R. Reiland. Washington's wise advice. Pittsburgh Tribune-Review. 2007-07-30 [2011-11-21]. （原始内容存档于2011-05-25） （英语）. ^ 125.0 125.1 A short account of 1953 Coup. Iran Chamber Society. [2011-11-21] （英语）. ^ Turkey and Greece celebrate 50 years of NATO membership. NATO. 2002-08-14 [2011-11-21] （英语）. ^ 129.0 129.1 Stephen Kinzer. Democracy, made in Iran. The Guardian. 2009-06-22 [2011-11-21] （英语）. ^ 133.0 133.1 Masoud Kazemzadeh. Review Essay of Stephen Kinzer's All the Shah's Men. Middle East Policy. [2011-11-22] （英语）. ^ ISNA (Iranian Students News Agency) November 2003 interview in Persian with Mahmood Kashani. ISNA. [2011-11-22] （波斯语）.